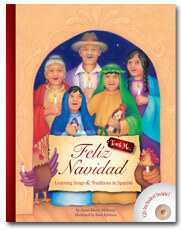 Celebrate the Christmas season while you learn your favorite carols in Spanish. 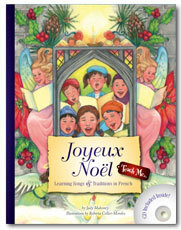 Perfect for the whole family to sing along and learn. 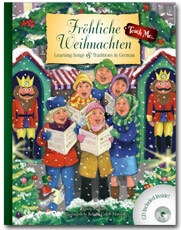 The Teach Me...Christmas title is a bilingual celebration of Christmas traditions in Mexico through the magic of song. The beautifully illustrated book will teach the reader about the rich heritage, culture and beliefs of Mexico during this delightful season. Narrated and sung in Spanish along with an English version and translation.